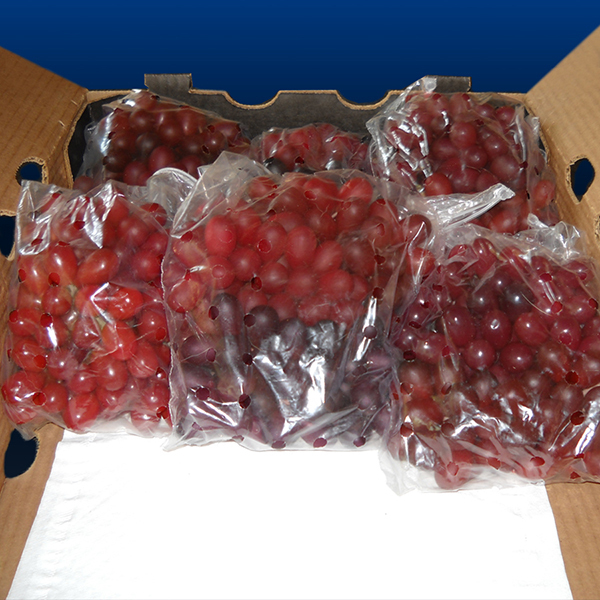 Absorbent pads are used for interior packaging of tree fruit and table grapes; they absorb liquids and moisture that may come in contact with the contents during shipment and storage. Our absorbent pads are manufactured from bleached white toweling stock in multiple layers and sizes; some of the more popular sizes include: 9 x 16 inches 2 ply, 12 x 16 inches 2 ply, 12 x 19 inches 2 ply, and 12 x 19 inches 3 ply. Our 9 x 16 inch absorbent pad is most commonly used in 7L styroboxes; our 12 x 16 inch absorbent pad is most commonly used in 6L styroboxes as well as 16 x 20 inch corrugated boxes while the 12 x 19 inch absorbent pad is most commonly used in 5L styroboxes as well as 16 x 24 inch corrugated boxes.